Our excellence in the test and instrumentation landscape stems from our understanding of diverse markets, industries and technologies. This knowledge, along with our ability to solve system-wide integration and modularity challenges, positions Benchmark as the industry expert in addressing our customers’ most advanced challenges. Our tremendous depth and breadth of expertise is critical to addressing our customers’ most technically demanding product requests. We handle on-site support and provide in depth collaborative design for manufacturability engagement. As the industry evolves to ever-shrinking feature sizes, and now into vertical architecture, Benchmark supports each development node through close collaboration with our customers to achieve micron-level precision tolerances and rigorous cleanliness requirements. Local support for research and development through our AMP cell provides rapid prototyping capability and early supplier engagement that are critical to ensure ready access to the necessary supplies to produce robust products at the lowest total cost. Benchmark’s geographic footprint is designed to be both close to customer primary development sites and located in regions near volume production, offering the greatest total customer value. Ongoing engagement with key customer contacts and periodic, formal reviews of technology roadmaps ensure that Benchmark capabilities meet customer needs for precision, materials and cleanliness. To drive quality and ramp up production quickly with identical results, Benchmark has adopted a copy exact culture. Our Statistical Process Control (SPC) methodology on critical-to-process key characteristics includes real-time monitoring and analysis to ensure process variation is minimized. Improved product quality and reliability is also ensured through our Full Lifecycle Management services that ranges from rapid prototyping to new product introduction, volume production and after market spares support. 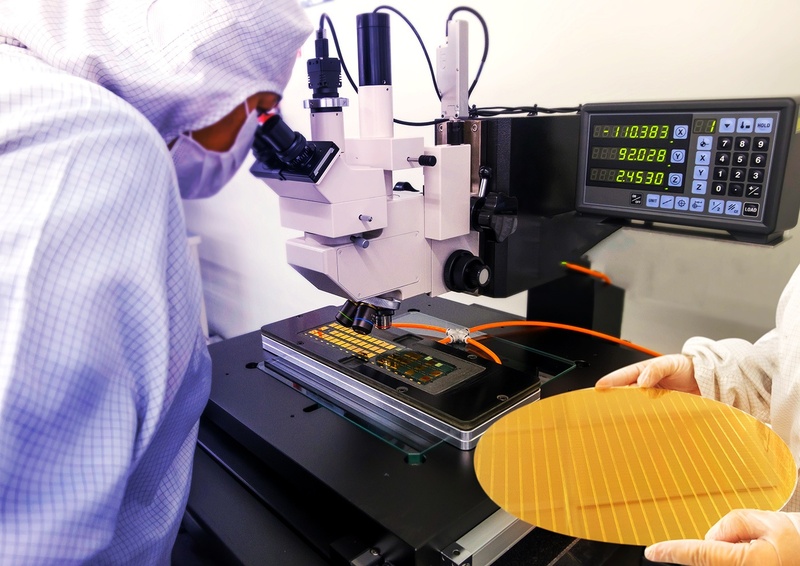 We offer complete engineering services in wafer, solar and display fabrication including design, prototyping, integration, validation and test, precision automation and tooling. Benchmark’s global network of design and engineering facilities provides us with a keen insight into our customers' local markets. Our technology building blocks enable Benchmark to excel in large-scale metal form and large-scale clean room capital equipment manufacturing. We also excel at manufacturing services ranging from high precision machining and grinding to electron-beam welding to rapid prototyping. With our flexible engagement model, we adapt our manufacturing process to meet our customers' specific needs. Benchmark's specialized technology solutions provide the semiconductor capital market with additional capabilities within the same company. Precision Technologies is well equipped to handle the most complex, heavy metal projects including ones that address flatness requirements, parallelism, or parts that must hold a vacuum. The RF High Speed Design Center is ready to meet the upcoming challenges in the electronics market, from increases in hardware outsourcing to size, weight, and power (SWaP) restrictions on future commercial and military designs. See how our test & measurement capabilities can help you.